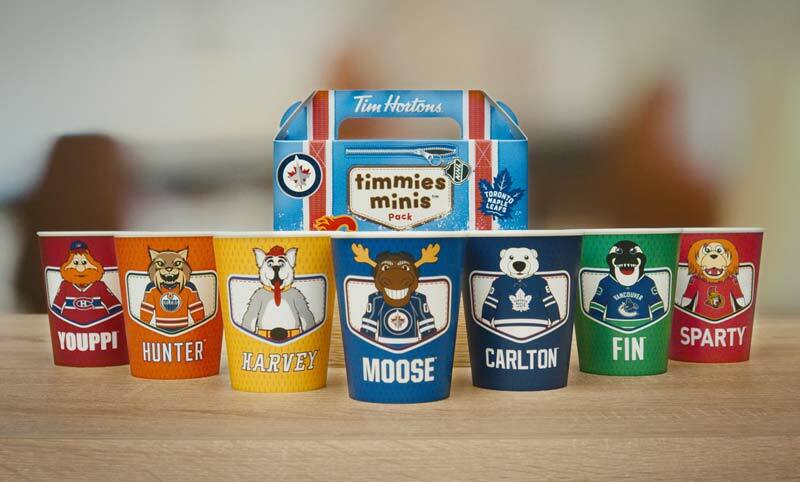 For a limited time, Tim Hortons’ kids’ packs will come with one of seven reusable, collectable cups, each featuring the official National Hockey League (NHL) mascot of a Canadian team. Food-service franchise system Tim Hortons is giving young Canadian hockey fans a reason to celebrate. Ten cents from each meal will go toward the Tim Horton Children’s Foundation. Customers are invited to post pictures of their favourite mascot and join in on the conversation through social media using the hashtag #TimmiesMinis.